The Chrysler 300 is a full-size near luxury type sedan that was first shown at the 2003 New York Auto Show as a concept car. Sales in the U.S. began in the spring of 2004 as an early 2005 model year car. Designed by Ralph Gilles, the new 300 was built as a high performance, sporty sedan. The Chrysler 300 is also marketed in Australia, as the first full-size Chrysler vehicle sold there since the Valiant was discontinued in 1981. The Chrysler 300 is based on the rear-wheel drive Chrysler LX platform which features components derived from the W210 Mercedes-Benz E-Class of 1996 to 2002. Shared components include the rear suspension design, front seat frames, wiring harnesses, steering column, the 5-speed automatic transmission's design, and a derivative of the 4Matic all-wheel drive system. 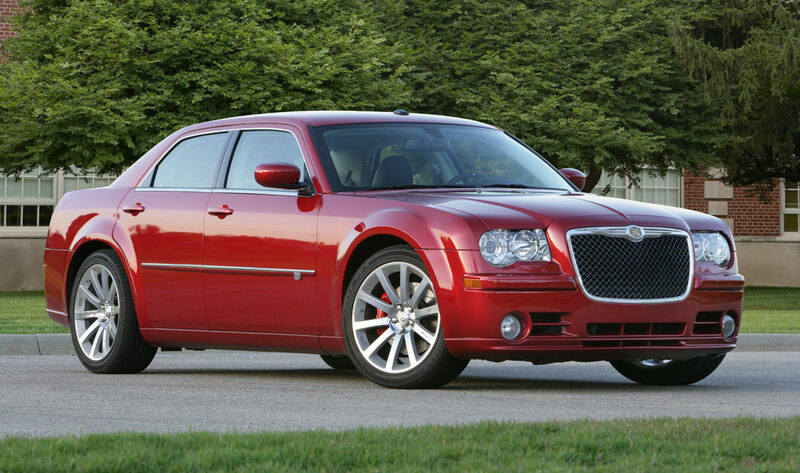 The Chrysler 300 also features a double wishbone front suspension that is derived from the W220 Mercedes-Benz S-Class.